Clan Des Obeaux lands the 2018 renewal of the King George after all the big names faded away and left a stunning battle between the Paul Nicholls trained winner and Colin Tizzard's 2016 winner Thistlecrack. The race started off at a fierce pace with nearly all of the field battling away to try and get the share of the lead but starting favourite Might Bite got himself there joined by Coneygree who took them round for the most part. There was an incident which changed the race as Bristol De Mai fell bringing down second favourite Waiting Patiently which was sad news for the Ruth Jefferson trained runner. However, the race went on and as Native River, Might Bite and Politologue all came off the bridle and looked out of the race 2016 King George winner Thistlecrack romped the front but was joined by Clan Des Obeaux. They battled it out neck and neck for three fences to the finish but Paul Nicholls Clan Des Obeaux just found more at the end and went on to take the race by two lengths and give his trainer his 10th King George VI and his jockey Harry Cobden his first. 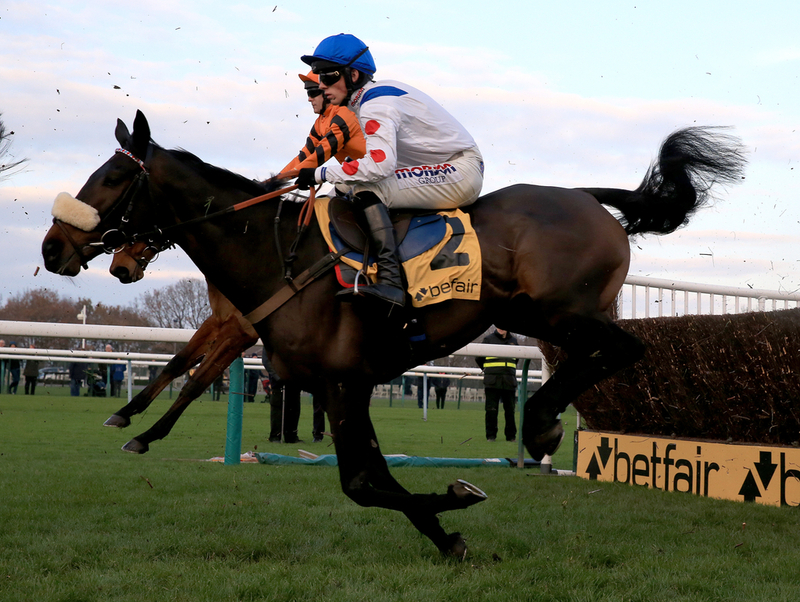 Clan Des Obeaux has now been slashed in the betting for the Gold Cup going from 50/1 to 12s, second Colin Tizzard's Thistlecrack has gone from 22/1 to 10/1 in places where has the staying on third Native River to give Tizzard second and Third on the day has drifted to 13/2 from 5s.